A Fine Gael senator has said he would resign from the party rather than serve in government with Sinn Fein. 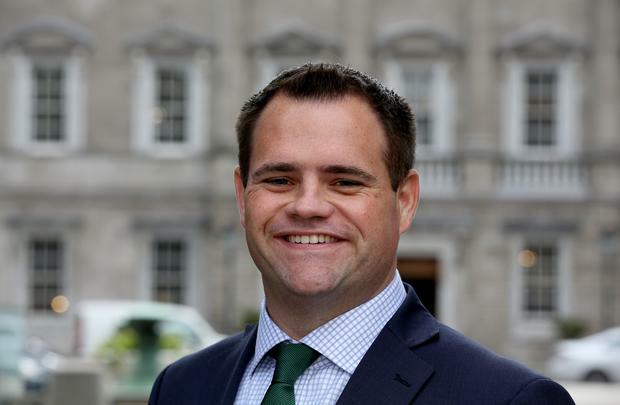 Neale Richmond was commenting after Junior Minister for Older People Jim Daly said he had no ideological issue with Sinn Fein working with Fine Gael in government. Speaking to Independent.ie’s Floating Voter Podcast, Mr Richmond insisted he does not share his Fine Gael’s colleague view and would rather quit the party than serve with Sinn Fein. Mr Richmond also discussed the British media’s coverage of Brexit negotiations and recent comments by leading UK politicians about Ireland’s position in the talks. The senator also said he would like to see Ireland’s neutrality debated along with the possibility of further integration with the EU on security defence.